Is there a way to partially apply a preset in Lightroom 3? I have lots of Lightroom presets that are great, but some of them are a bit to severe. Is there a way to apply a preset at 50% strength for example? Unfortunately no, there is no direct way to partially apply a preset in LR3. A "Fade preset" slider is sorely missing, in my opinion. It is however pretty easy to achieve if you have Photoshop. There are a few ways to do it, but at the end of the day it boils down to sending your original file to PS as a layer A, then sending your file with the preset fully applied to PS as a layer B, and fading the top layer to reveal more or less of the original A. By fading B, you are essentially displaying something "in-between" A and B. Go to the Develop module. Select your photo (in this example, a color photo). Right-click and create a virtual copy. Apply the preset to the virtual copy (in this example the 'B&W Creative - Look 1' preset for illustration purposes). In the film strip at the bottom (or from the Grid in the Library module), select both the original and the virtual copy, either by using Control+Click on each, or Shift+Click since they should be next to each other. Right-click on any of those 2 photos and select 'Edit in -> Open as Layers in Photoshop' (see screenshot, look at how the virtual copy in the film strip is completely B&W). In Photoshop, you should now have one single file opened with 2 layers, one containing the original, the other containing the virtual copy with the preset applied. Make sure the virtual copy is the top layer by dragging/reordering the layers as needed. 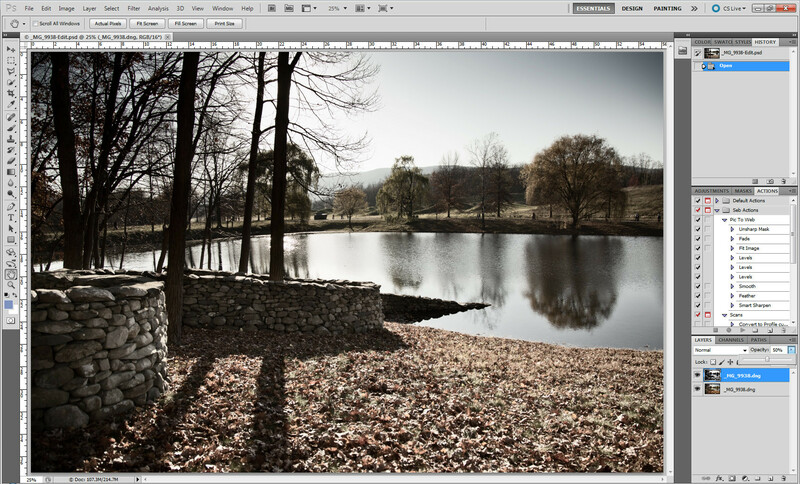 Select the top layer and drag the opacity slider on top of the layer panel to the strength you are looking for. In your case, 50%. Check the screenshot, the resulting image is a blend between the two layers (in this example, a sepia blend between the color original and the B&W virtual copy). Exit Photoshop, don't forget to 'Save Changes' when you are asked to. 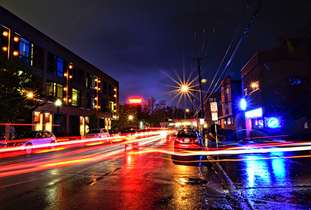 Back in LR, a new PSD image should be in your catalog. If it's not, right-click on the folder containing your original file in the Library module and select "Synchronize folder" to bring the new PSD file. This is your resulting image. There you have it. It's actually pretty easy to do, practice makes perfect. If you are unhappy with the blend, right-click on the PSD file in LR, select "Edit in Adobe Photoshop", "Edit Original", then re-adjust the opacity to apply more or less of the virtual copy preset. Save and go back to LR to watch the result. Once you are satisfied with the blend and if you are short on disk-space, you may want to open the PSD file once more and merge both layers. You won't be able to adjust the blend after that but your file will be significantly smaller. You can also get rid of the virtual copy at this point but they are really cheap to keep around. Not the answer you're looking for? 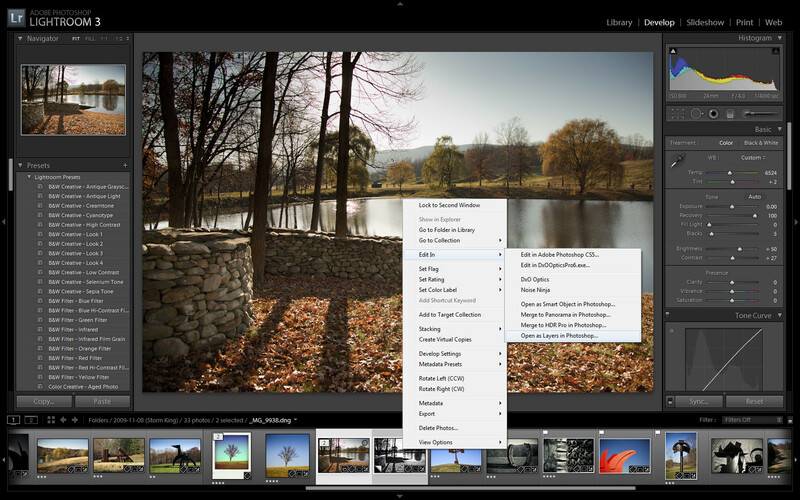 Browse other questions tagged post-processing lightroom presets or ask your own question. What keyboard shortcut could I use to step through presets in Lightroom? Is there a way to decompose a Lightroom preset? How can I delete presets in Lightroom 3?